Pankaj Bansal is the Co-Founder and Chief Executive Officer of PeopleStrong. 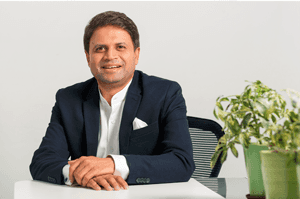 He is responsible for building strategic partnerships and managing the overall growth of the company, both in Indian and international markets. A visionary, Pankaj is passionate about technology and truly believes that HR will take the leap into the next orbit by embracing technology. With this thought, he has led the team to develop PeopleStrong Alt, an on-demand technology product that aims to simplify work life for its users. 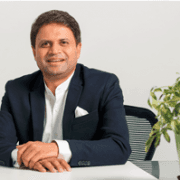 Prior to establishing PeopleStrong in 2005, Pankaj worked with the Aricent Group, a global innovation and technology service company (erstwhile Hughes Software), where he was a part of the founding team of the company’s BPO division. An active member of CII’s National Committee on Skills & Jobs, Pankaj is also the Non-Executive Director at The HR Fund, India’s first Venture Capital Fund, dedicated to investment in HR, and Wheebox, the fastest growing talent assessment company in India.